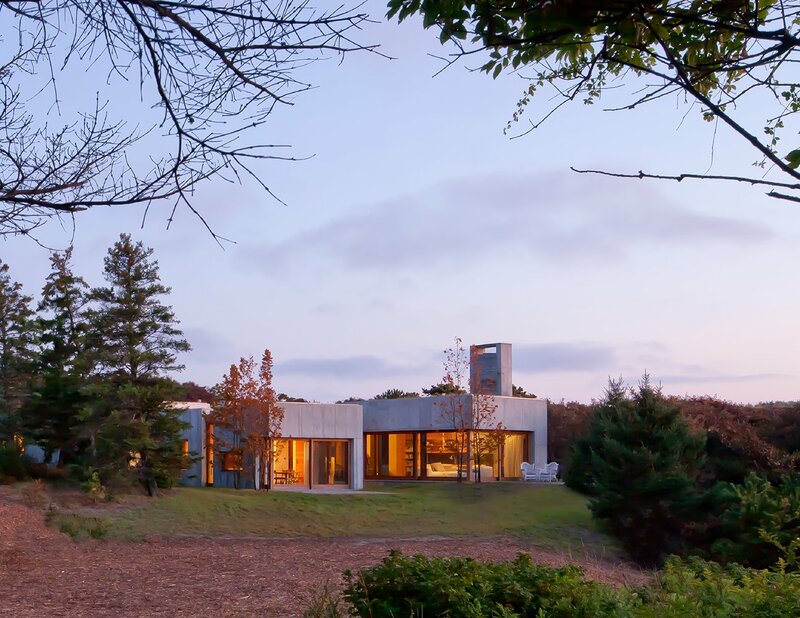 Jury comments: Located on a coastal bluff, this remarkable island house is divided into separate concrete blocks that can be hoisted up and lifted away from the site should erosion occur. 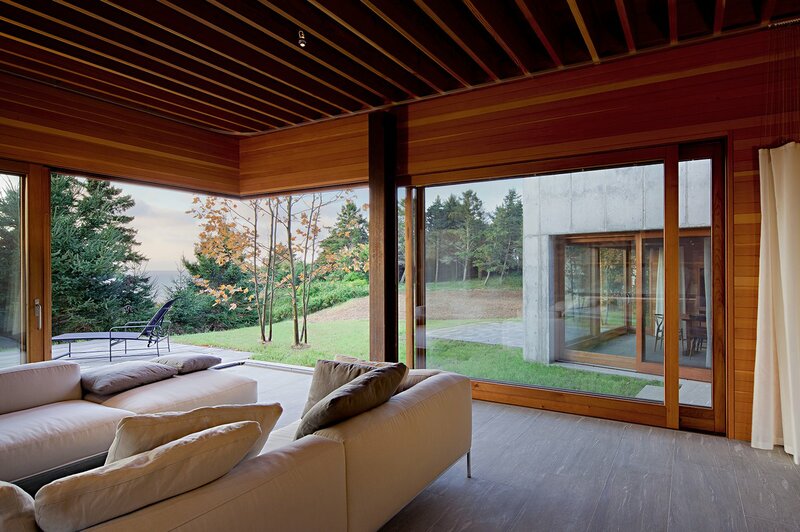 Each box has a rugged concrete exterior and is finished on the interior with stone floors. 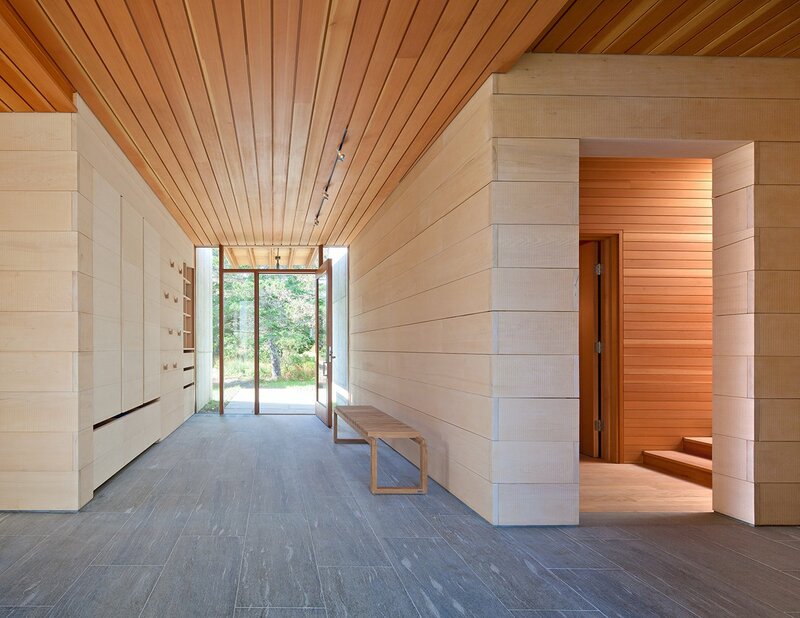 Douglas fir and Alaskan cedar–planked walls, which are soft to the touch but resilient against the rough seaside weather, bring simple elegance to the rooms. Strategic through-views to surrounding greenery direct visitors from the entrance to a library and living area. The structure cantilevers over the landscape, allowing for expanses of glass along five walls. Operable windows pull back. 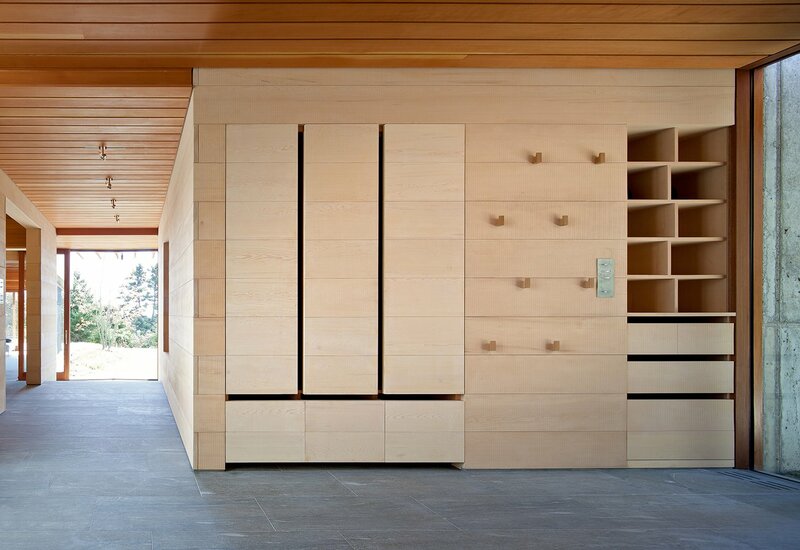 The gap between the boxes amplifies the sound of the ocean, bringing it, as well as sea breezes, through the entire house. A planted roof caps each unit, mitigating runoff and more fully integrating the house with the land. Geothermal wells vastly reduce the size and cost of HVAC equipment. 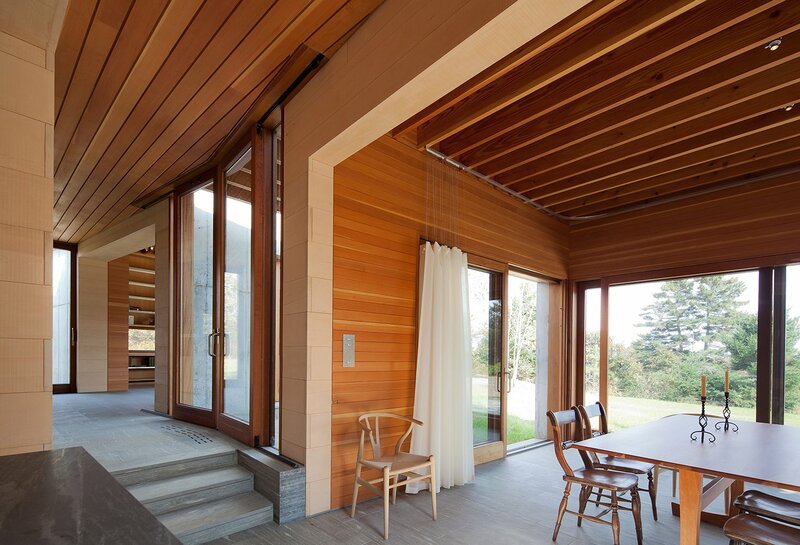 With radiant heating, calibrated window openings, and the thermal mass of concrete, the structure creates natural ventilation and buffers summer heat gain. 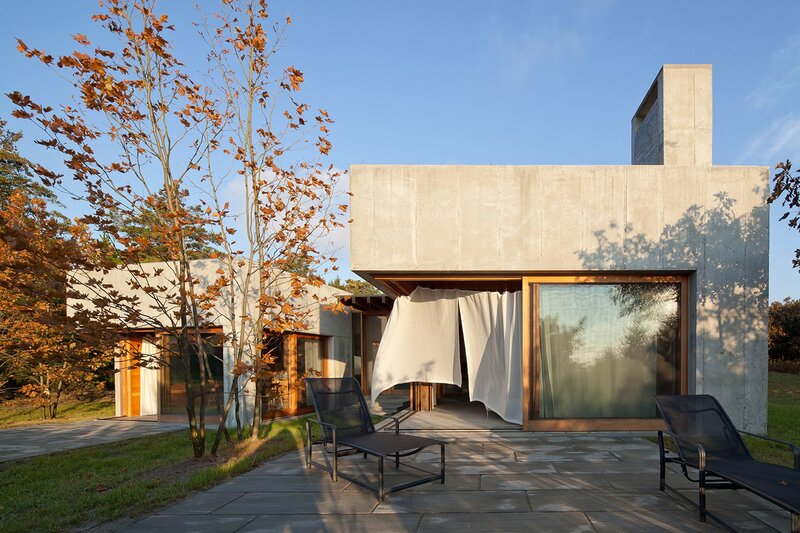 It’s concrete, but this house feels light. It celebrates materiality with the contrast between its rough exterior and softly detailed interior. A mature architect is at work here. The result is gorgeous.